Note: While Amazon.com claims 76 reviews, we counted 65 available on their site. We discovered a total of 7 deleted reviews for this product, with an average rating of 3.6. Even though deleted reviews don't affect the average rating, the fact that action was taken to delete reviews raises some red flags about the integrity of the reviews for the product as whole. 16 of the 65 reviewers have only reviewed this product. While this is more One-Hit Wonders than we'd expect to see, it does not appear to have a significant impact on the overall rating. 19 of the 65 reviewers have never written a verified purchase review. While this is more Never-Verified Reviewers than we'd expect to see, it does not appear to have a significant impact on the overall rating. 20 of the 65 reviewers have had at least one of their past reviews for another product deleted. This is an excessively large percentage of Take-Back Reviewers which may indicate unnatural reviews. 64 of the 65 total reviews for this product are unverified purchases. This is an excessively large percentage of unverified purchases and it may indicate unnatural reviews. 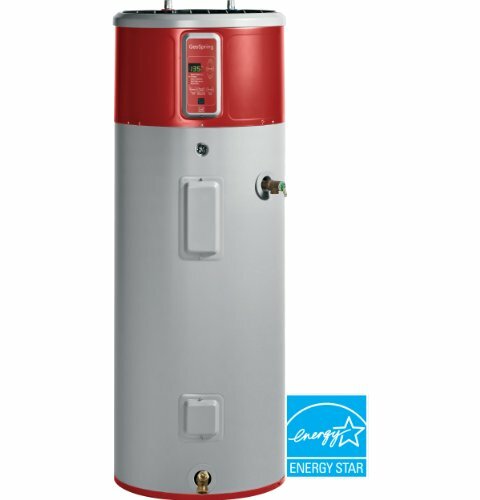 my geospring hybrid water heater recently reported a heat pump failure and generated an error code called "hfc code f-c."
apparently it means failed compressor and mainly involves a failed part called the "evaporator asm." 43 of the 65 total reviews for this product use substantial repetitive phrases between them. This is an excessively large percentage which may indicate unnatural reviews. We counted 65 reviews for this product over the span of 1,459 days, an average of 0.0 reviews per day. If these reviews were created randomly, there would be a 99.9% chance that we would see 2 or fewer reviews on any given day. We didn't find any days exceeding this threshold. 8 of the 65 reviewers have substantial overlapping product review history. This is within an acceptable range and it does not appear to be significantly affecting the overall rating for this product.